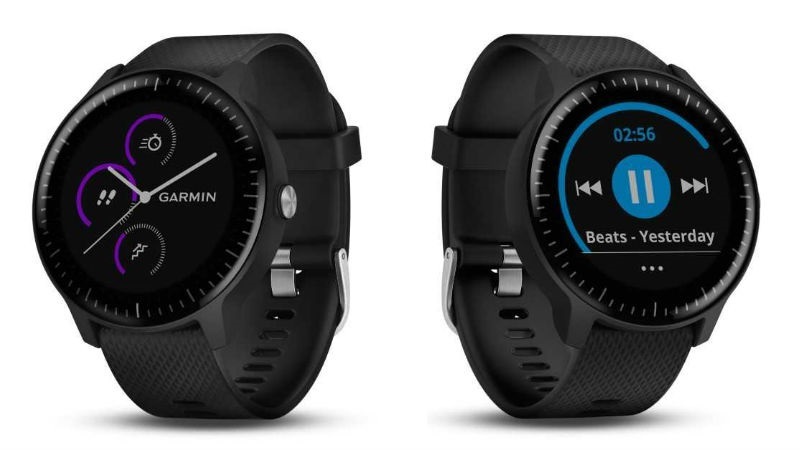 Garmin has launched the Vivoactive 3 Music in India. Unveiled almost a year after the Vivoactive 3, the new wearable takes everything you find in the 2017 model and adds music to the mix. The Vivoactive 3 Music was first introduced in June this year. Garmin already has smartwatches that come with GPS and music playback, in its lineup. But for the first time, the features are available on an affordable smartwatch. It essentially comes with space for 500 songs that you can play directly via Bluetooth headphones. There is no need to carry a smartphone for your music consumption needs. The Vivoactive 3 Music adds a music player and local storage to the combination fitness tracker and GPS smartwatch. It has been priced at Rs. 25,990, around Rs. 1,000 more than the Garmin Vivoactive 3. The Vivoactive 3 Music is available at web stores of Garmin, Paytm Mall, Amazon India, Flipkart, and Helios Watch Store. The product will also be available in select offline stores such as Croma, Helios-The Watch Stores, and Reliance Digital across India. In terms of features, apart from the addition of music, the Vivoactive 3 Music is the same as the Vivoactive 3. This means users will get GPS, a heart rate monitor, contactless payments through Garmin Pay, a swim-safe build, up to 7 days of battery life, and access to the Garmin Connect IQ app store. Garmin says it has introduced several ways to customise with free watch faces, widgets, data fields and apps through the Garmin Connect IQ store. Featuring the same functionality and smart connectivity features first introduced on the Garmin Vivoactive 3, the Vivoactive 3 Music just adds on-device music storage capabilities. You can download offline music playlists from select music streaming services such as Deezer, iHeartRadio, or you can also transfer music from a PC directly to the smartwatch. Once the music is loaded, you will have to pair the device with a set of compatible Bluetooth headphones. Coming to other specifications, the Garmin Vivoactive 3 Music sports a 1.2-inch (240x240 pixels) display. In terms of dimensions, the smartwatch measures 43.1x43.1x13.6mm and weighs 39 grams. The company claims that the battery runs for 13 hours in GPS training mode, 5 hours in GPS mode with music playing, and 7 days in smartwatch mode. Connectivity and sensors options include Bluetooth Smart, ANT+, GPS, GLONASS, optical HR, accelerometer, barometer, compass, and thermometer. For water resistance, the watch has Swim and 5 ATM certification.